This entry was posted on June 22, 2010 at 11:00 AM	and is filed under environmentalism, Global Warming, Junk Science. Tagged: climate change, Earth Day, environmentalism, global climate change, Global Warming, Green. You can follow any responses to this entry through the RSS 2.0 feed. You can leave a response, or trackback from your own site. You are confusing weather with climate. A few hot, sunny days in New York City is weather. 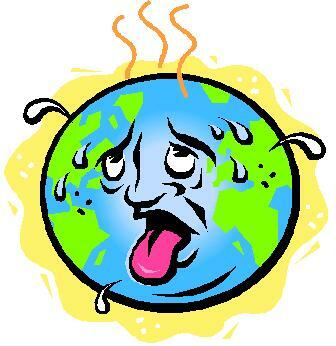 Global warming refers to an increase in the average overall temperature of the world. It does not mean that every place on Earth is going to be hotter. It means that some places will become warmer. In other places, changes in wind and ocean currents will make some places cooler, some places have less rainfall, some places will have more rainfall, etc. Changes in the Earth’s overall temperature could also affect migratory patterns of animals which could affect ecosystems.